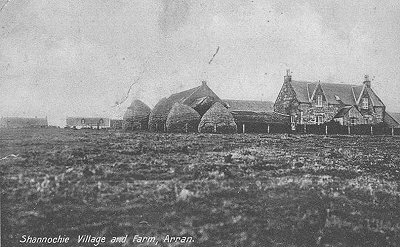 Arran has many historical places all over the island - the King’s Cave at Blackwaterfoot, the Standing Stones at Machrie, the Giant’s Grave at Whiting Bay, the Chambered Tomb at Torlin, Kilmory, Brodick Castle, Lochranza Castle, Kildonan Castle, to name but a few, all worth a visit. The Isle of Arran Heritage Museum, at Rosaburn in Brodick, has memorabilia and machinery of bygone days. or stroll on Blackwaterfoot beach and watch the sun setting over Kintyre. and cater for all abilities, some suitable for wheelchairs. Wildflowers are found wherever you look - along roadsides, on hillsides and skirting beaches.